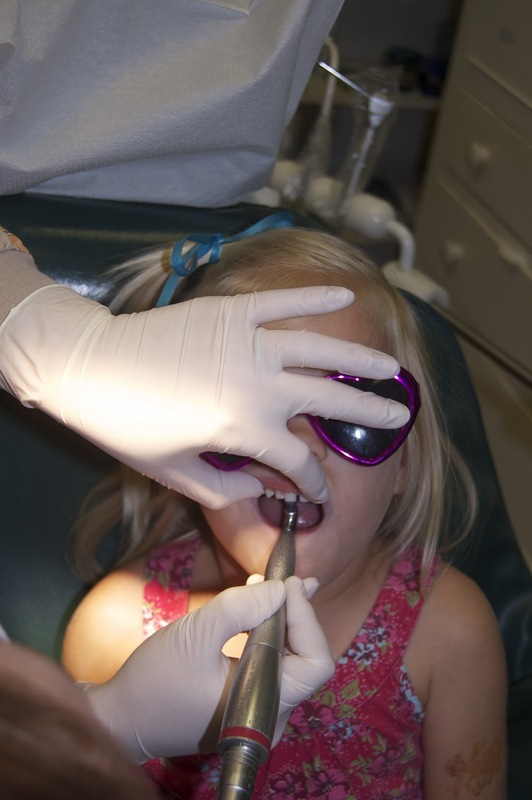 As is the tradition in the Perdue home the kids go to the dentist when they are three. 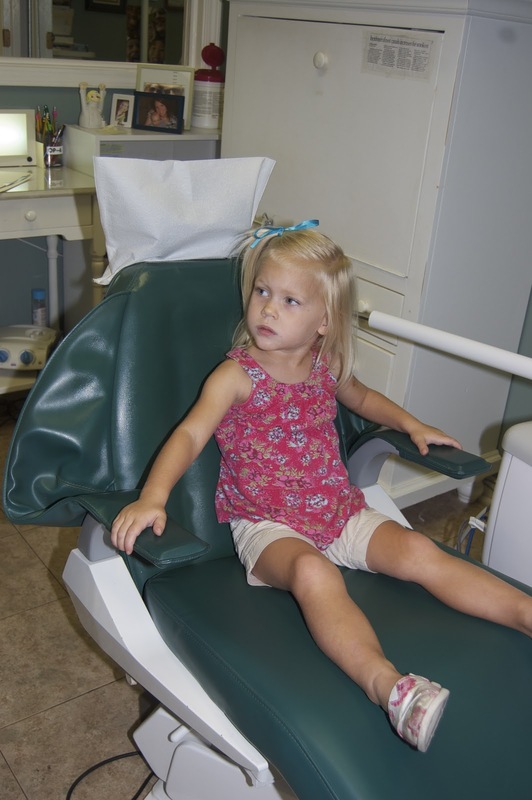 For Anna Kate, August 17, 2011 was her first trip to the dentist office. 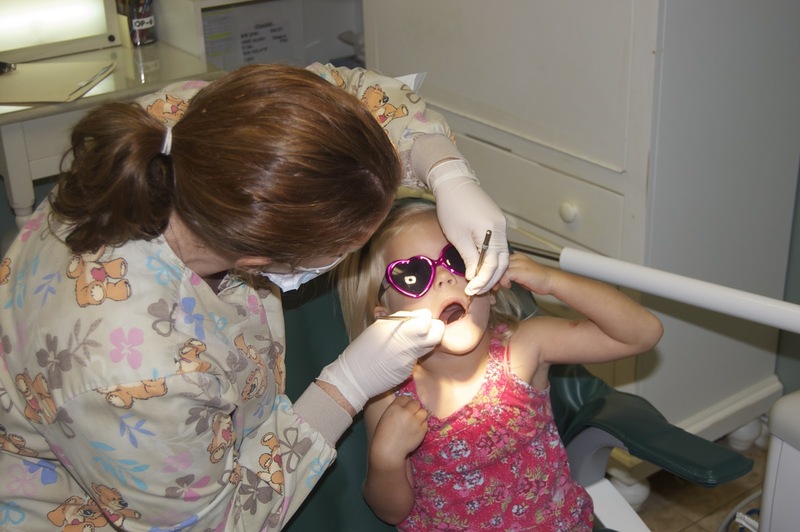 At first she was very apprehensive about all of the little gadgets, but she did let our super awesome hygienist, Amy Kellum, clean her teeth. The funniest part was when Amy tried to put the suction in Anna Kate’s mouth, Anna Kate was scared and jumped so quickly I thought she was going to get down out of the chair. 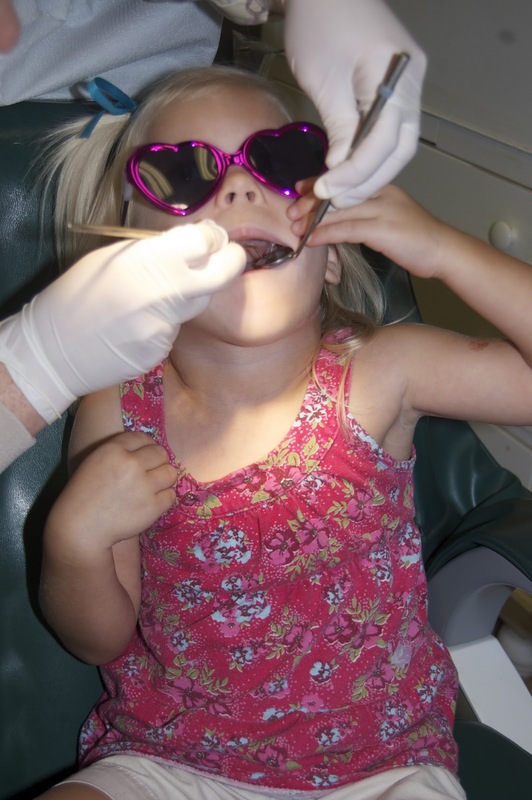 I must admit Anna Kate did very well and I am proud to say that 3 out of 4 kids enjoy the dentist. Let’s just hope Sadie keeps the record going when she turns three. 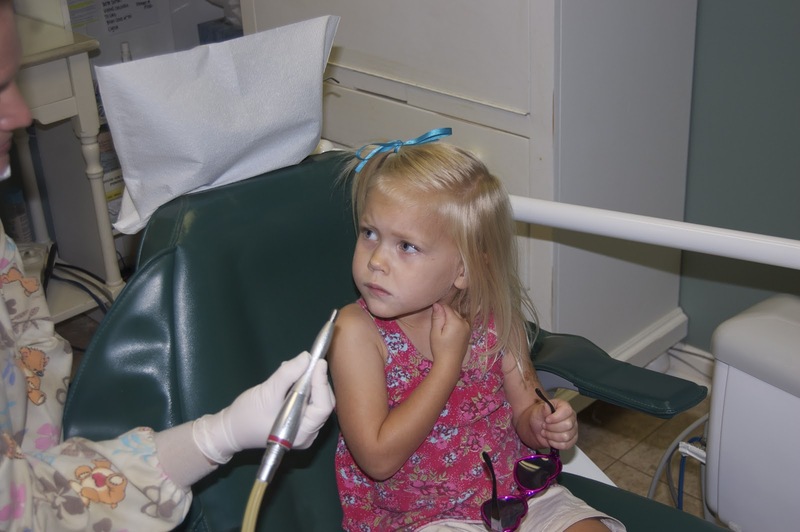 Anna Kate was listening very carefully to Ms. Amy as she discussed the teeth cleaning process. She was a little nervous about all of these gadgets going in her mouth. She LOVED the sunglasses and the mirrors in her mouth. She did such a great job as she got her teeth cleaned.